BMES was founded 28 years ago in Louisville, Kentucky by Jim Evans and Jerry King. Their vision was to listen to the needs of their customers while also understanding the needs of their employees. Achieving this balance resulted in the growth of BMES that continues today. The company’s growth includes personnel and facilities. Q. What are some advantages that your company has over the competition? Evans: While BMES is a business, we realize and appreciate that there are people on both ends of every transaction. When you combine this philosophy with the quality service we provide, we are confident our solution is second to none. Our centrally located repair facility also provides a unique depot repair advantage in that shipping times are reduced greatly. 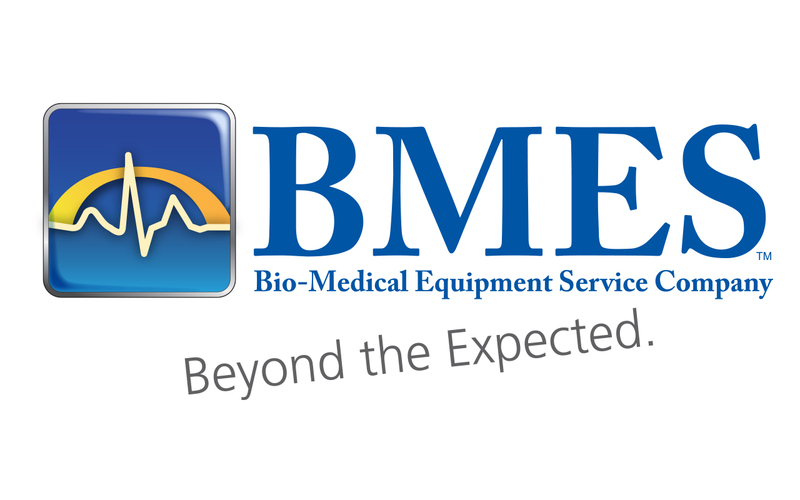 At BMES, we are sensitive to the fact that equipment repairs could negatively impact patient services, which impacts revenue generation. Our physical location allows BMES to receive equipment in need of repair quicker without expedited delivery charges. Our close proximity to shipping hubs also means that we get our deliveries first thing each morning and that positively impacts workflow. The biggest BMES advantage, however, is that we tailor the service experience to meet what the customer defines as good service. This includes options such as pick up and delivery, true account management support and any special reporting requirements. BMES wants to provide an experience that is wanted by the end user versus us determining what service should be. Q. Can you explain the company’s core competencies? Evans: It is easy to see that BMES is a medical device repair facility that specializes in patient monitoring equipment. However, what we have the capability to do is not as limited as it may sound. At our core, we repair electronics. It is important to distinguish this as it takes away some of the tunnel vision that the market has concerning the scope of what BMES provides. When you really think about it, it does not matter if the electronic components are in a medical device or something outside of medical; the components perform the same function. How those components come together to create the end result is different but a resistor is a resistor. We also offer free evaluations and never charge a bench fee. Providing our customers with a risk-free evaluation is not only a great selling point, but offers BMES a chance to identify industry needs and pain points. It is a true win-win scenario. Q. What is on the horizon for BMES? Evans: 2018 is a going to be a really exciting year for BMES. We are rolling out a new systems platform that will allow our customers real-time access to their repairs and where that repair is in the workflow. Additionally, the system will provide a communication platform so that sales, service and the customer are all always on the same page. Overall, it will really simplify the customer interaction while enhancing the overall experience. BMES has also developed a director of operations position to insure we integrate innovation into our organization. 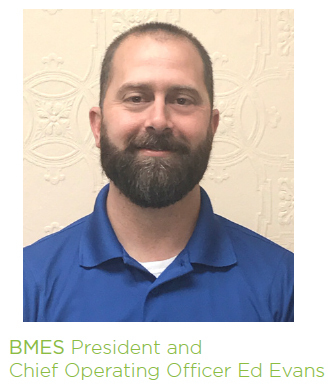 Benny Cissell is leading this position and his experience, focus and relationships will bring a new look to the operations of BMES. This effort ensures that BMES will continue to provide the customer experience with high quality service and the personal touch that leads to our Beyond The Expected vision fulfillment. Q .Can you share some company success stories with our readers? Evans: A great example of going Beyond The Expected involved one of our customers in Indianapolis. After doing some telemetry work for this particular facility, the telemetry units would not work once connected to the system at the hospital. After re-evaluating the units and not finding any issues, we sent one of our technicians to the hospital to see what was happening. It turned out that they were using a very unique version of software. Upon learning this, instead of saying we were unable to support their telemetry needs, we purchased the software necessary. The customer was extremely satisfied that we did not send them elsewhere but instead invested in what was necessary to solve their issues. Q. Is there anything else you want readers to know about your company? Evans: Simply put, we are thankful. In today’s world there are not as many businesses still around after 28 years of service. It’s a great joy to lead a company and serve an industry as long as I have had the opportunity to here at BMES. I acknowledge that this business exists because of the customers we serve. Thank you to all of the longtime and new customers that have allowed us to be your provider of choice. It is our mission to not just say we are providing a Beyond The Expected experience but to live that out. As we prepare for the years ahead my commitment is to remain focused on people, quality, and a Beyond The Expected solution for all of the customers that choose BMES. If you haven’t experienced the BMES difference yet, we invite you to allow us the opportunity to show you firsthand what you have been missing. Thank you for 28 years! We look forward to many more. For more information, visit bmesco.com.